1. Apply to computer, service system, STB(set top box)etc. mainboard CPU chip testing. 2. Manual and automatic one design solution. top lid and base use dowel pin to make sure accurate position, double buckle, spin button have plane thrust bearing inside, save labor no wear, fixed stroke distance to effective protect probes and chip. 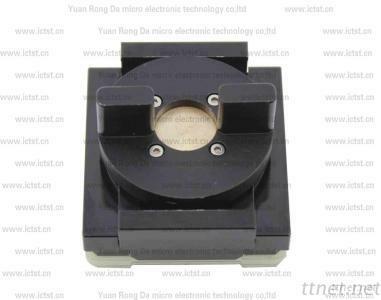 4. press plate use anti-static plastic, hard to hurt IC surface. Customizable different type and array chip socket. 10. Delivery time: in three days earliest.